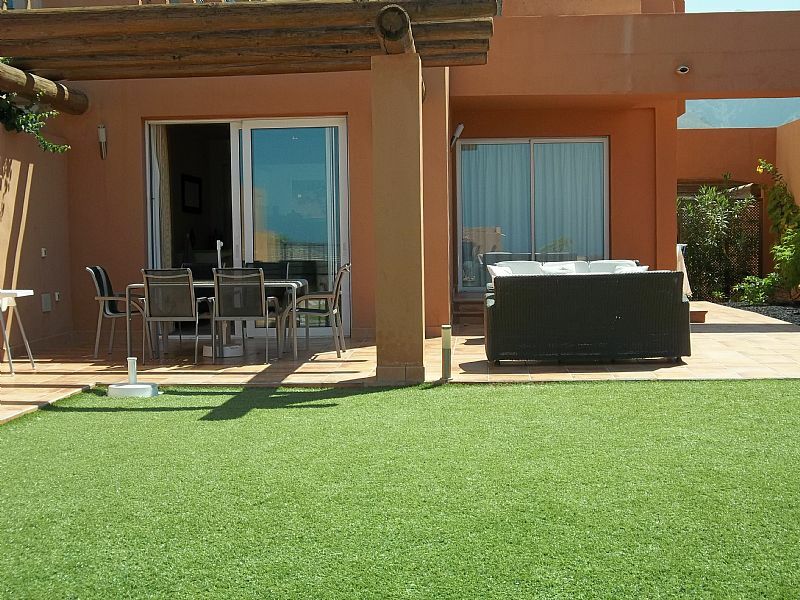 A spacious three bedroom and three bathroom luxury villa with a large private pool and excellent facilities. The large hall opens into a modern fully equipped luxury kitchen, with a separate area for laundry. The dining and lounge areas are furnished to a very high standard. In the lounge you will find a large flat screen TV and DVD, complete with English and Spanish channels and ipod docking station. WiFi router. The downstairs accommodation is completed by a large twin bedroom with adjoining shower room.Patio doors open onto the pool and out door dining areas. Upstairs there is a master double bedroom with en-suite and a flat screen TV and DVD. Also upstairs is the third twin en-suite bedroom Doors from both upstairs rooms open onto a separate balcony overlooking the pool and garden area. Looking for a relaxing holiday in the sun or taking a more active break? Playa De Las Americas is just 10 minutes away, with many good quality restaurants and for those wanting an active night life. Only 5 minutes away is the delightful fishing village of La Caletta where a number of very good dining places with a wide variety of food from Italian to local fish restaurants are available. Cleaning, The Villa will be fully cleaned and made up with fresh laundry and towels, before your arrival, and all changed weekly. Our local managers are also on call, should you require their assistance. Price. The Total cost is from £1300pwIf you wish i can Email you a booking form, detailing deposit payment methods. We can also arrange welcome packs should you require.